For Miss World 2016 Philippines, Catriona Elisa Magnayon Gray, all roads lead to Washington DC. But her journey starts off appropriately, with a brand-new car. A Hyundai Eon in Coral White was turned over to Ms. Gray by HARI President and CEO Ma. Fe Perez-Agudo and Miss World Philippines National Director Cory Quirino. 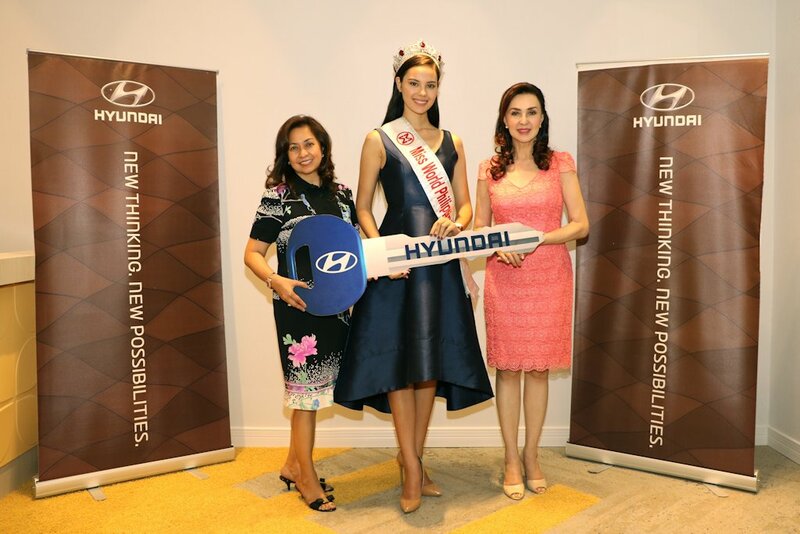 The Hyundai Eon is a fitting prize for the country’s bet to the much-coveted Miss World crown. Iniimagine ko height ni Miss World for that hyundai eon haha. Baka maumpog siya. How is that even fitting for a Ms World Philippines? Cheap! Korean cars would have been great if it weren't for the local dealers who sell cars stripped off of features at very expensive price. Whatever happened to the Korean Free Trade Agreement?! This reflects how high they regard beauty contestants. Bad move. They could've had some serious endorsement here.